It is meant to be the great leveller but in Britain even death comes with a dramatically different price tag depending on where you live. 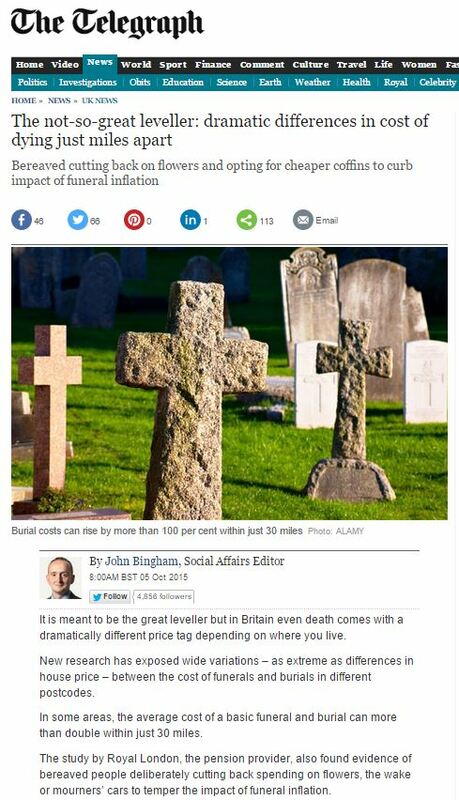 New research has exposed wide variations – as extreme as differences in house price – between the cost of funerals and burials in different postcodes. The average cost of a basic funeral has leapt by £140 in the space of a year, a report has found. Across the UK, the typical cost is now £3,702, a 3.9 per cent increase compared with 2014, when the average cost was £3,562, the insurer Royal London said. 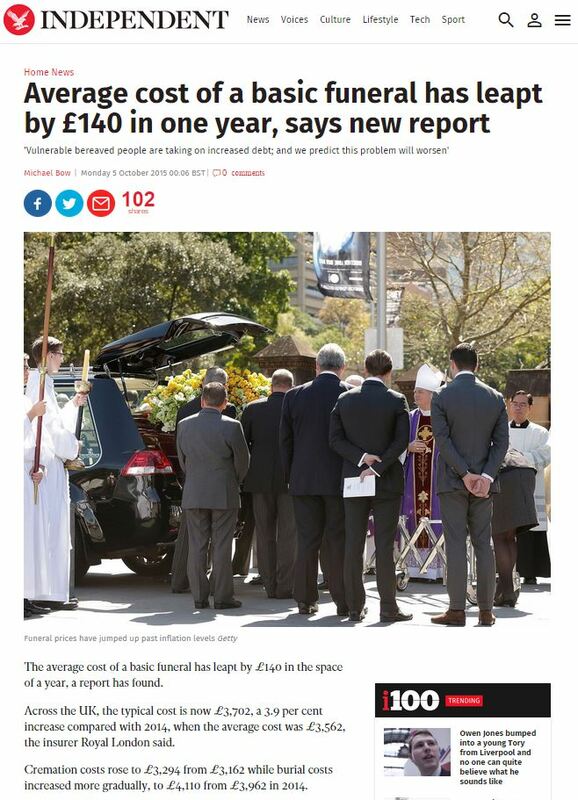 Simon Cox, a funeral cost expert at Royal London, said: “Our study shows people are striving to meet funeral price hikes, which they have little control over. “Given the stressful situation, shopping around for a funeral is often not an option. “Instead people are coping by cutting back on non-essentials if possible, and reconsidering how loved ones are buried. While it’s undoubtedly true that funerals are costly affairs, it’s equally true that there’s a clear financial incentive for an insurance company to ensure people are afraid that their loved ones won’t have enough money to pay for their burial once they’re gone. I’m sure it won’t be a surprise to Royal London if they see an increase in interest in their life insurance policies as a result of stories like this. As ever with PR, it’s hard to distinguish the genuine message from the sales hook. This entry was posted in Royal London and tagged bbc, guardian, independent, john bingham, Michael Bow, mirror, Paul Grant, Royal London, ruki sayid, Rupert Jones, Simon Cox, telegraph on October 23, 2015 by Michael Marshall.